Discussion in 'Amateur Radio News' started by KQ6XA, Sep 4, 2018. Today, The High Frequency Oracle emerged from a trance at her Solar Observatory on a remote mountaintop, to announce foreboding predictions for the upcoming Solar Cycle 25. These rare prognostications are made less than once per decade, during times of ionospheric despair, when the high frequency faithful seek guidance for their future. In keeping with tradition, the HF Oracle casts her prescient spells of propagation foresight in the obscure quatrain verses of a nearly-extinct ancient tongue, upon which learned scholars and venerable poets of magic still argue interpretation. As is customary, an image of her predicted Solar Cycle and peak sunspot number was held up for the solar pilgrims who had awaited this moment on the steps of The Observatory. Altus Frequencius, Ionospheri Reflec tus! Dum radiis sol sunt infirma! Ego sum Oraclum ad templi ex ionosphere. Sal positus sum super altare is caelo. Quod augur Sororibus inspecto es sol discus. Quid futurum adducere? Que videtis? Quinquennium ab hodie, sol et apicum. Ego praedicate nuntius anno duo milia viginti tres! Numero centum viginti erit, ex sol macula. Sed, certe, magnetismus protegens planeta nostra. Est scriptum in manus maga. Illa cantata carmina curati nos. Numquam locutus est malum preces. Quoniam, undecim annis ab hodie, sol et austero. Longo vivas tempore et bene sit. Aeternum! Solar minimum, the MegaHertz are wounded! Solar Maximum, the radiation is powerful! Oh, high frequency ionosphere, reflect us! We cross the Valley of the Sun. We peer into our future. Time Telescope! Predict the future! I hereby make a salt offering to the ionosphere! We invoke the magic solar encantations! Asked about the future: What do they see? Five years from today, the sun will peak. I proclaim: This a message about year 2023! 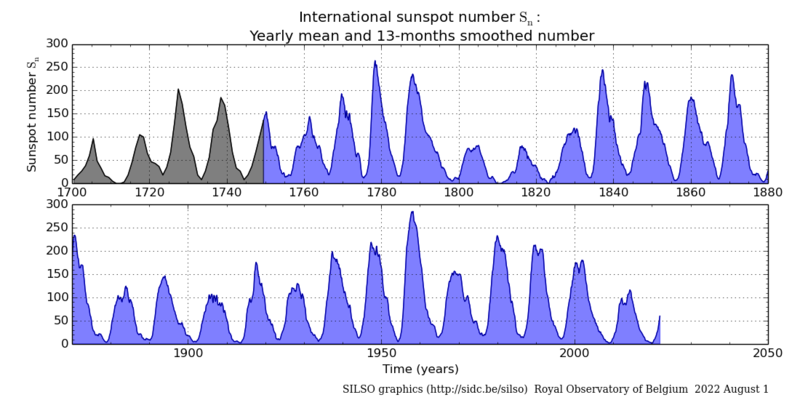 Cycle 25 sunspot number will peak at 120. But, at least the magnetic field will shield our planet. It was written by her hands. She called for the bands! For we will dwell in a solar minimum again eleven years from today. Live long, and prosper. Forever! May the force be with you, and watch over you. ... and thus it was written in September of 2018. NA4RA, W7UUU, KA8UGB and 9 others like this. WJ2L, N0NZG, NL7W and 1 other person like this. 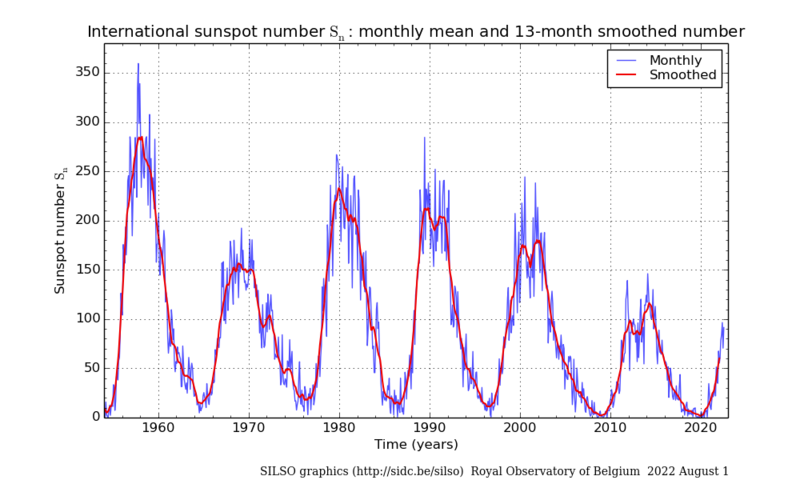 Our recent Solar Cycle 24 was the worst cycle for HF since the invention of radio. 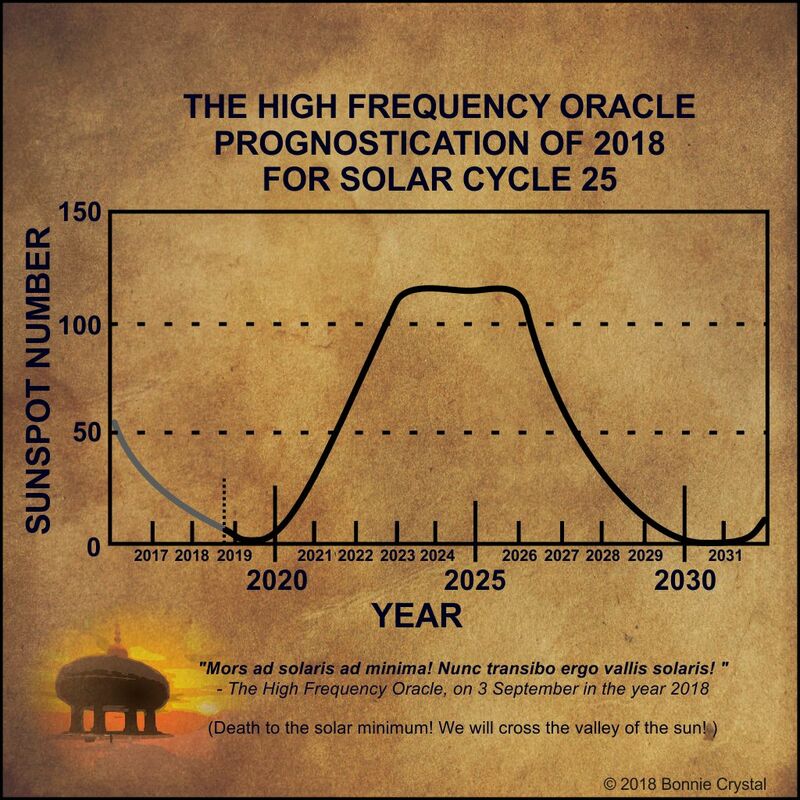 The High Frequency Oracle has brought us profound foreknowledge of Solar Cycles 20 through 25. It is rumored that as a novice prognosticator, she was tutored by her predecessor: The Greatest HF Oracle, famous for predicting 9 Solar Cycles, and drawing her last breath in 1953 after uttering the final verse of her quatrains for The Most Exalted Solar Cycle 19. The HF Oracle now carries that burden of The Transmission Of The Esoteric High Frequency Dharma; it having been passed down in secret ceremonies through the unbroken lineage of Great HF Oracles of prehistoric times Before Solar Cycle One; witnessed by The Ancient Order Of The High Frequency Nuns, in the innermost faraday anechoic chambers of the paramount Observatory. K5CQA, WJ2L, K0SDG and 2 others like this. the only real way to see what the next solar cycle is all about is to go through it and report back. All the predictions and forecasts never is a sure way of telling what cycle 25 is actually going to be like. It's only a guess. As reported in the last few weeks, there have been signs of cycle 25. Here's a more detailed graph of cycles since The Great Exalted Solar Cycle 19, up through present day Solar Cycle 24. The only way to know for sure is to go out and buy a radio for 10k or more. Then if you experience buyers remorse, it's bad. KT4RK, KA8UGB, VK4ZEN and 4 others like this. This is like the scientist and the engineer trying to get across a space when each move can only be halfway. The scientist gives up after a few calculations but the engineer runs the series a few more terms and says; "I can get close enough for all practical purposes." So thanks to Joe Taylor we now have the tools to get far enough down in the noise for lousy propagation not to stop us and SDR transceivers that are better than we could even imagine a few solar cycles ago. Now if we can just get the man made crap (noise) lower we can find a way. DL7RV, N4GNO, WA2LXB and 5 others like this. The digital modes, although not for me, do help a lot in this solar minimum I don't have a problem with the digi modes, people that use them, or the such. Just haven't..... Yet. This is also a reason to make sure your station is 100 pct, to your standards. Ferrite chokes will help reduce the proliferation of swig Jing power supplies. Good coax, as well.... Well shielded coax to keep noise out and signal in. Low loss coax to keep the signals as high as possible. This is also a great time to expand yourselves into sporadic E (vhf) and LF with the two new bands. No, they aren't plug and pray but this hobby wasn't meant to be! It's been discussed by those whom know a lot more than me that we are entering or already into a maunder minimum. Look it up. Explains the solar cycles pretty well. And is a great reason to go qro! KQ6XA and KA0KA like this. and will not be getting any better in the long run. KC2YME, 2E0EUG, N4GNO and 6 others like this.